Death in the movies. Like taxes, or aging, there’s no avoiding it. I guess I’ve been thinking about this subject, subconsciously, since like…forever. I distinctly recall one weekend a few years ago that triggered this; brought it to the surface. After participating in a fairly regular event in the blogosphere, one I very much look forward to. Another of Dennis Cozzalio’s semi-regular movie quizzes, in fact; fun as they are. It shouldn’t surprise that an answer came forthwith. Plus, I marveled at the responses leveled by those who participated in the quiz to that same question. Now I don’t recall where I read it, but someone somewhere wrote, given the choice, men secretly hope for a demise such as the one nobly characterized in the question above. Sure, I bet everyone would rather have the idyllic, dying in bed of old age trope. 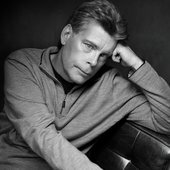 Author Stephen King once described a good death as that — following a great dinner and a prime bottle of vino, that is1. However, for most normal folk, it doesn’t happen under those ideal circumstances. So, going out by giving up your own life (for something greater) has an appeal. It’s a Y-chromosome kind of thing, I reckon. Finding this kind of selfless, life-ending act kind of romantic. Sure sounds better than the bad death the same author countered with. That of being under your car when changing its fluids and the jack collapses — and as you’re slowly crushed to death, as lousy as that is, the last insult being the slow drip of oil onto your forehead — ugh. I realize it’s a stereotype, a cliché (movie-wise and in other pop culture forms) to say that men focus on death while women concentrate on life. How true. I bet you didn’t know at one time there once was web resource dedicated to this grim cinematic pastime. The “Movie Deaths Database” is now history, but the Filmsite.org website still has an extensive feature on Best Film Death Scenes. Bloggers like Alex Delarge dedicate plenty narrative online to this — The Greatest Movie Deaths of All Time; along with other expanding archives that celebrate celluloid expiry. So with that, I thought I’d add in my 2¢ and put together a couple of lists pertaining to the demise of movie characters. And, I might as well expand on my answer to that old question # 44 to start things off. In no particular order, except for the first, all of these self-sacrificing moments elicit the evocative in me…every time. If someone brings up Star Trek Into Darkness for my second entry, there’s going to be an argument…just sayin’. 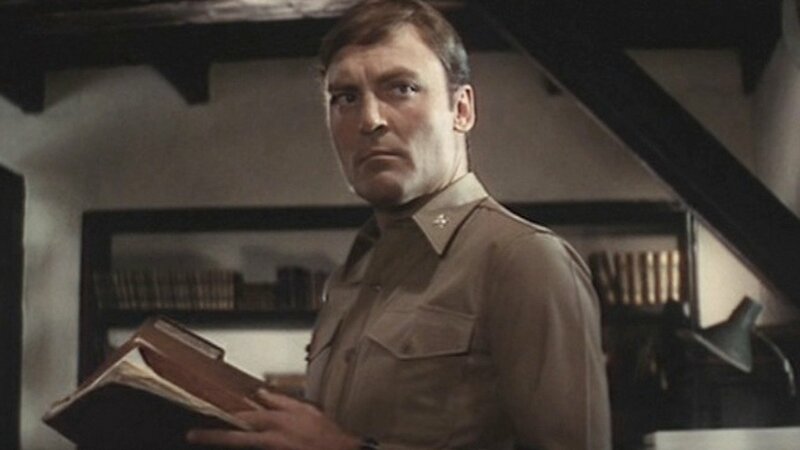 Colonel Vincent Kane – The Ninth Configuration: I’ll start with a film that’s not obvious to many as William Peter Blatty’s film, based on his short novel doesn’t attract the attention it should. The fact that the sacrificial act is done by a man who is a dark legend in his own right was especially poignant to the story, and me. 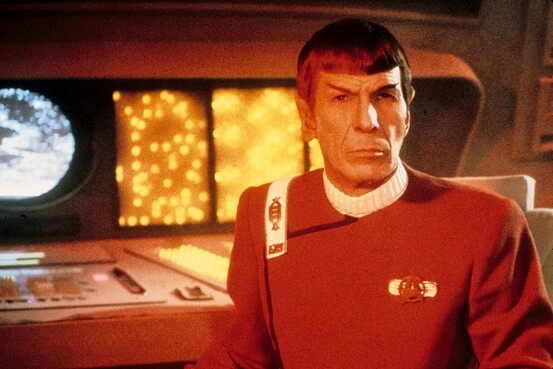 Mr. Spock – Star Trek: The Wrath of Khan: I don’t think you have to consider yourself a geek for this one, or even a long-time Star Trek fan. As evidenced when I showed this to my kids some years ago, they very much got it. Little wonder this was universally hailed as the greatest Star Trek film ever released. Reverend Scott – The Poseidon Adventure: I believe Irwin Allen’s highly successful “disaster” film raised the bar for this sub-genre during the ’70s. Elevated the notion of sacrificial death with a new definition of it. 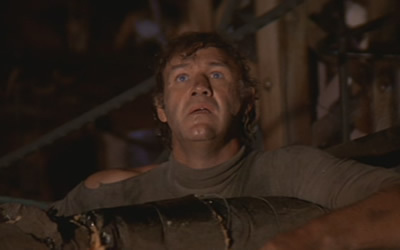 Gene Hackman will always have a special place in my heart for this portrayal. 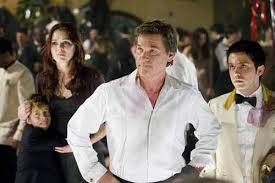 Robert Ramsey – Poseidon: Granted, Wolfgang Petersen’s remake was nowhere near as good as the original, this character’s (Kurt Russell, the best thing in the film) final act for the survivors also got to me almost as much as Hackman’s (plus, I’ve been told it is a spot-on drowning impersonation). Various ex-slaves/gladiators – Spartacus: A Stanley Kubrick film that doesn’t play as “a Kubrick film”. This the famous “I’m Spartacus” moment where all who are left alive after the final battle choose crucifixion over giving up you know who. A macho choke-up moment, if there ever was one. 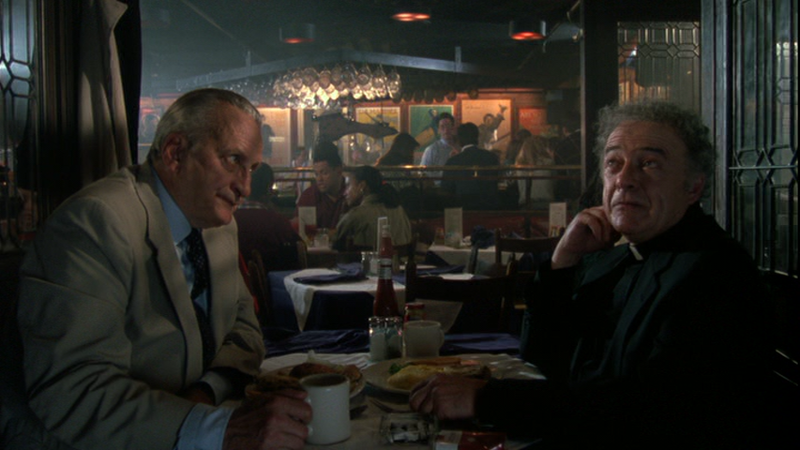 Father Karras – The Exorcist: Since I saw the movie before ever reading the book, I was taken aback to a high degree with the film’s last act. Sacrificing himself in order to keep the demon, after exhausting and killing its real target, The Exorcist, the frail Father Merrin, from killing the host child, Regan. Russell Cassee – Independence Day: Always keep this one in mind around this time of year. A film Ruth recently highlighted, Roland Emmerich’s 1996 blockbuster. When the troubled Vietnam vet, once abducted by aliens, says “Tell my kids I love ’em”… well, I don’t think I have to spell it out for you. 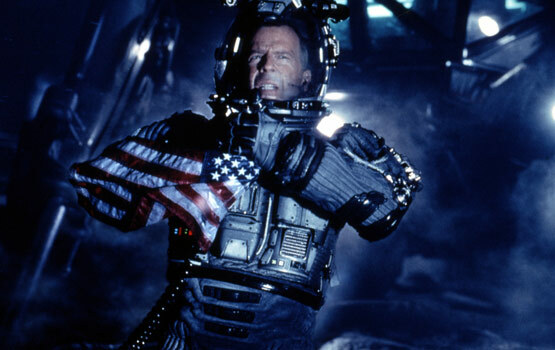 Frank Harris – The Day After Tomorrow: Like the previous, only goes to show a film’s supporting characters can be just as important as its leads. After falling through a mall’s snow-covered roof, cutting the rope connecting them so he doesn’t drag his workmates to their deaths with him. 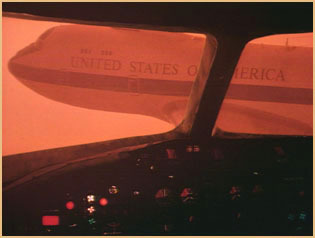 Commanding General of the Looking Glass Plane (Alice) and the flight crew of the acting Air Force One – By The Dawn’s Early Light: Have to know they’d do it in real life — to prevent further nuclear escalation, air crews coordinate their own deaths so a military stand-down can take place. 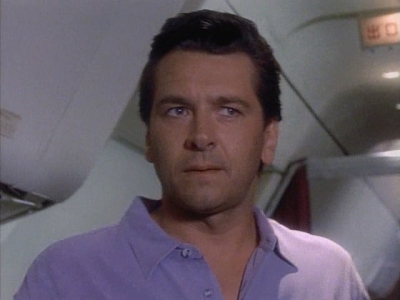 Nick Hopewell – The Langoliers: The last act from the former SAS fixer volunteering to stay awake and guide the jet and his friends back through the time rift — I can’t believe I just wrote that — and hopefully come out even. Clearly, shades of The Ninth Configuration are here, but it still works. 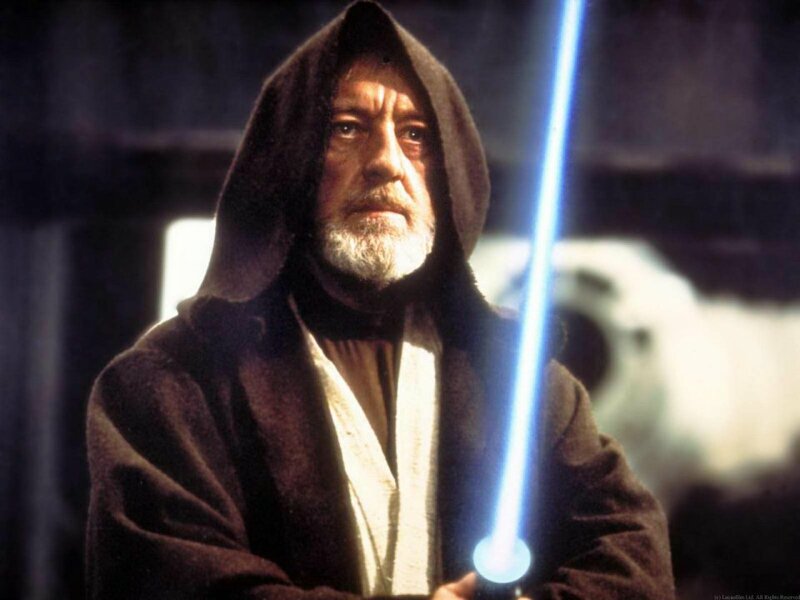 Obi-Wan Kenobi – Star Wars Episode IV (A New Hope): ‘Old Ben’ allowing himself to be cut down by his former padawan so that Luke could escape was a great act. Even if he lied to the youngster about his ancestry and relationship to Darth Vader (and I don’t care what Lucas edits anew, Han shot first!). Yay for mentioning Reverend Scott and Harry Stamper! What a fun game. Nice list, Michael. Thanks for the shout out Michael! Great selections of memorable screen deaths. 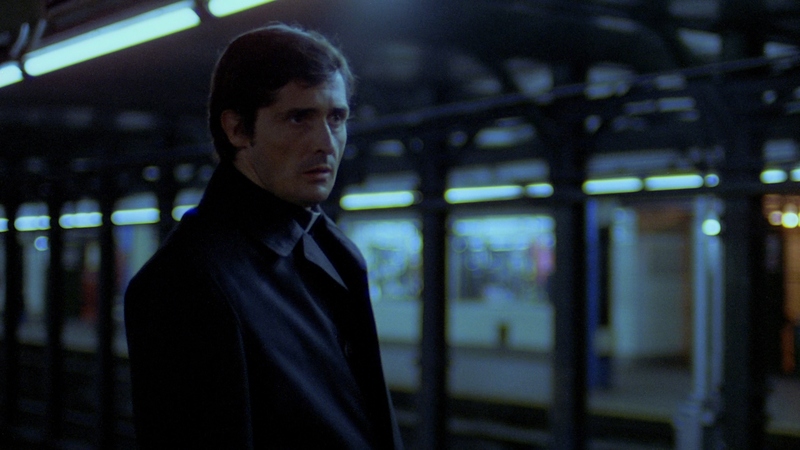 Props for Father Karras, now that’s a real sacrifice. Ahah, ID4 and Armageddon are cheesy but they sure have some memorable screen deaths. I think that’s the ONLY role of Randy Quaid that people remember, wonder whatever happen to him. I saw a bunch of Empire Strikes Back scenes acted out over the weekend at Secret Cinema in London. 🙂 It was great! Very cool post and nice picks. Had a blast reading this. I’m going to contemplate and get back to you. There are a lot of these that I can get behind. The first one that pops into my mind that you did not have on your list was Walt Kowalski from Gran Torino. Look forward to what you have to add, Richard. And that’s another good one, Walt and “Grand Torino”, my friend. Let’s keep this going. Thanks. I’m fairly ashamed to say that it’s only the last two deaths – Harry Stamper and Obi Wan Kenobi – that I’m familiar with. Stamper’s death always brings a tear to my eye for several reasons. Firstly, I’m very close to my own father so it’s upsetting in that sense. Secondly, the fact that Aerosmith are playing in the background (Tyler’s father’s band) adds to the emotion and thirdly, because of the reason he’s doing it.